While some public policy investments may eventually pay for themselves in savings, few public investments provide as much of a return on investment as early childhood education. For every dollar invested in high-quality early childhood education, local economies receive at least $7 in return. Returns are not only found in educational achievements such as high school graduation rates, but in higher lifetime earnings, reduced teen pregnancy rates, and reduced incarceration rates among graduates of high-quality early learning programs. Unfortunately, early childhood education does not receive as much public investment as the research shows it should. High-quality early education is dependent on the workforce and teachers in the classroom. However, lack of public investment leads to extreme rates of educator turnover – roughly 30% each year – which impedes children’s ability to learn in a consistent environment. Early childhood educators are paid just a fraction of what their peers in public elementary classrooms make, despite often having the same degrees and credentials. In fact, 59 percent of all Head Start teachers in Massachusetts hold bachelor’s degrees. Yet the average child care worker in Massachusetts makes less than $30,000 per year, less than half of what the average kindergarten teacher makes. This doesn’t just put our children at a disadvantage, but costs the state enormously – nearly 40% of the early childhood workforce in Massachusetts receives some form of public assistance, at a cost of $35.6 million to the state and federal governments. This crisis is not impossible to solve; the answer is increased state investment in the early childhood education workforce. This year, Massachusetts is in a unique position with new State House leaders at the head of their respective chamber’s Committee on Ways and Means, the key budget writing committee. Representative Aaron Michlewitz and Senator Michael Rodrigues are both in the position to write their first budget, setting priorities for their tenures in these positions and guiding the legislature in determining state investments. Both Senator Rodrigues and Representative Michlewitz now have the opportunity to write a budget that invests in the field and the workforce that we know shows long-term returns to our state – early childhood education. These State House leaders can choose to spend state resources on early educators now rather than spending later in public assistance for those working with our youngest learners. If significant investments are made in early education quality and access – including investments to the Early Educator Rate Reserve, the Head Start State Supplemental Grant, and the Commonwealth Preschool Partnership Initiative – Massachusetts’ children, educators, and economy will be strengthened. 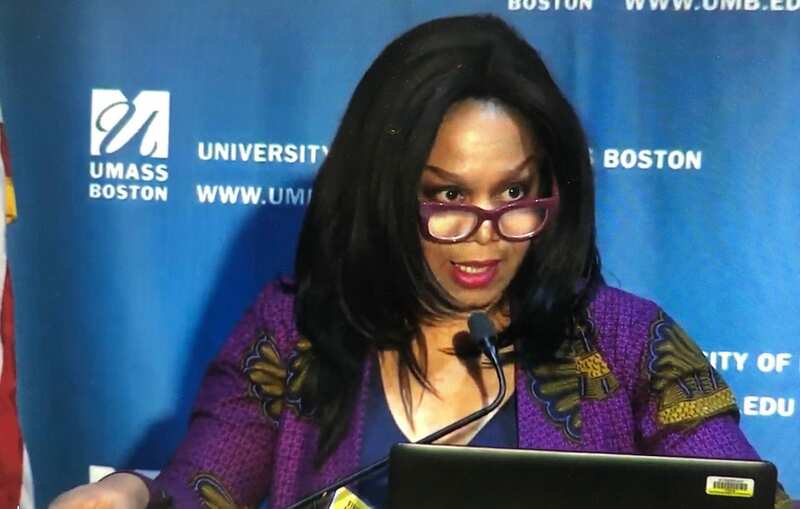 The Africa Scholars Forum at the McCormack Graduate School of Policy and Global Studies, University of Massachusetts Boston launched its first Africa day with the theme Pan Africa Rising on February 27th, 2019. The event featured Keynote speakers, discussion panels, graduate students’ flash talks, African Marketplace, luncheon and a gala night reception with Afrobeat DJ and African food from Suya Joint, Cesaria, and Ashur restaurants. The opening address by Dr. Edozie and Keynote addresses by Professor Robinson and Zadi Zokou explored African liberation, decolonization, and connecting African immigrants and African Americans respectively. Panel discussions were on African perspectives on democracy, security and global governance and Beyond neoliberalism: the prospects for a Pan African economics. Africa Day was a premier event that hopes to establish an interdisciplinary university-wide African studies presence in the University of Massachusetts, Boston (UMass Boston). The event aligns with the goals of the Africa Scholars Forum, which include developing an undergraduate minor and graduate certificate in African studies. The forum also seeks to engage students at UMass Boston with Africa programming missions and create undergraduate student research initiatives on African study. Moreover, it will establish a platform for deepened Africa research study for graduate students and promote existing and new faculty and student exchanges with African studies programs and universities in Africa, especially for study abroad programs and community research. Sean Mossey, Public Policy PhD Candidate in the McCormack Graduate School, received an Honorable Mention for the Digital Governance Junior Scholar Award. This award was given by the Section on Science and Technology in Government (SSTIG) of the American Society for Public Administration (ASPA). The award committee found that he has an excellent research agenda and shows evidence for a promising publication and research potential that will likely result in a considerable theoretical and practical contribution to the field. Additionally, he has recently co-published several articles in two prestigious academic journals. One explores harnessing the power of mobile technology to bridge the digital divides and is published in the Journal of Information Technology and Politics, and the other provides a chronological timeline on e-government policy and legislation, published in the Global Encyclopedia of Public Administration, Public Policy, and Governance. Both articles were co-published with Dr. Aroon Manoharan, Associate Professor of Public Policy and Public Affairs. 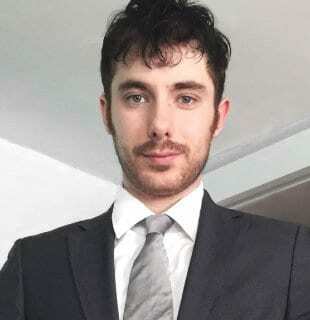 Sean Mossey is currently pursuing his Ph.D. in Public Policy at the University of Massachusetts in Boston and was the student representative for the Northeastern Conference on Public Administration (NECOPA) from 2015 to 2018. He graduated with a B.A. and MPA from the University of New Hampshire in history and public administration, respectively. He has worked as a research and teaching assistant for five years on projects in the realms of e-governance, m-governance, education policy, and organizational development. Mossey’s research interests and competencies also include information security policy, quantitative analysis, global comparative policy, and organizational theory. He currently works as a Human Resources Data Analyst for the Commonwealth of Massachusetts with the Department of Transportation. On Tuesday, January 29th, the University of Massachusetts Boston’s Center for Social Policy hosted a webinar called, Cliff Effects: Turning Research into Action for Economic Mobility. The webinar highlighted the latest research on cliff effects from the Center for Social Policy and focused on how research is being deployed for policy and workforce practice. Center for Social Policy Director Susan Crandall, along with Werby Intern, Magaly Vanessa, Saenz Somaribba, and PPPA doctoral student Caitlin Carey, presented their latest findings on cliff effects in Hampden County, Massachusetts, including an overview of policy solutions. Michael Cole, Director of Budget and Analytics for the Massachusetts Department of Transitional Assistance, presented on the Learn to Earn Initiative and the CommonCalc Benefits Navigation Tool. With input from a CSP prototype, the Massachusetts Department of Transitional Assistance is developing the CommonCalc Tool in order to better help workforce development providers assist program participants in getting over the benefits cliffs. Abhidnya Kurve, Policy Associate & Coordinator for the On Solid Ground Coalition, spoke about On Solid Ground, which is cross-sector coalition of families and advocates, with the Center for Social Policy as the lead research partner. She highlighted new legislation to address housing stability and economic mobility for families living in Massachusetts. As African Americans living in America, we have come a long way! From slavery to emancipation to a Black president who served two terms, to many other great accomplishments by Black iconic leaders and individuals for America. This progress made by peoples and communities of African descent is commendable; yet, the health of America’s democracy is questionable if there remain stark disparities in equity and social justice for all. More than 100 years ago in 1903, W.E.B. Du Bois- a civil rights activist who died in Africa- specifically in Accra, Ghana- was a vanguard pan-Africanist, Black sociologist, historian, and the first African American to earn a doctorate from Harvard. Du Bois wrote “The Souls of Black Folk”  and many of his words in this groundbreaking book resonates with the experiences of many peoples of African descent in America today. In his first chapter “Of Our Spiritual Strivings,” DuBois highlights this unasked question – How does it feel to be a problem? For Du Bois, Whites couldn’t ask this real question to him directly. Du Bois contended that between him (Blacks) and this other world (America), there remained an invisible line, making it difficult to attain equality. Du Bois would say that despite being free, peoples of African descent remain constrained by the veil – a metaphor for color line that makes it difficult to achieve a relative level of success in America. Du Bois’ concerns then are still valid today. Racial segregation, discrimination, and inequality are not yet a thing of the past. They pervade many institutions saddled with the responsibility to serve all Americans. An encounter with one institution can affect opportunities in another institution, making it more difficult for many African Americans to succeed. For instance, African Americans are only 13.4% of America’ population; yet, they are over-represented in the criminal justice system, accounting for 40% of the more than 2 million people in it . Our encounter with the criminal justice system can lead to loss of voting right, job, housing, and educational opportunities. These systems, the type of interactions among them, and the conscious or unconscious racialized policies in place continue to enhance racial nuances that have consequential effects for peoples and communities of African descent and America . The school system, that ought to nurture the intellectual capacity of American children, is another example. Through policies and practices like the zero-tolerance policies, this same system fosters the journey of many Black kids into the criminal justice system in a phenomenon known as the school-to-prison pipeline . According to the U.S. Department of Education Office for Civil Rights , Black students, even preschoolers, are disproportionately suspended from school. While Black students represent only 16% of student enrollment, they account for 31% of students subjected to a school-related arrest. This is concerning especially when compared with White students who represent 51% of enrollment, but only 39% of those subjected to a school-related arrest . This systematic racism tends to make us oblivious of the persistence of racism, but the experiences and effects linger in our society, even much more in the lives of African Americans who live in this reality. W.E.B. Du Bois concludes his book with hopes for the future. This will be a future where all Americans irrespective of their identity can be assured equality and justice. We celebrate Black history month in remembrance and appreciation of great Americans – and Africans – like Du Bois, but the joy of celebration will become greater if we celebrate in the realization of their hopes- an America for all. So, let America and all its people rise for racial justice. We can make Black history month celebrate both accomplishments of Blacks in America, and the equality and justice that all Americans have truly achieved! Grant-Thomas, A., and Powell, J.A. (2009). “Structural Racism and Color Lines in the United States,” in A., Grant-Thomas and G., Orfield (Eds.). Twenty-First Century Color Lines: Multiracial Change in Contemporary America (pp. 118-142). Philadelphia: Temple University Press. Cole, N.L. (2019). Understanding the School-to-Prison Pipeline. ThoughtCo.